New VO Luggage Has Landed! We are very pleased to announce that after over a year of designing, testing, physical submerging, re-designing, more testing, and finally production, our USA made luggage line has arrived. The collaboration efforts between VO and Road Runner Bags of LA has been an absolute blast and we couldn't be happier with the quality and workmanship of these new offerings. We're also thrilled that each item is 100% vegan-friendly and available in four colors: Black, Burgundy, Navy Blue, and Teal. Waterproof, truck-tarp liner in safety orange (so that you aren't rummaging through a black hole). 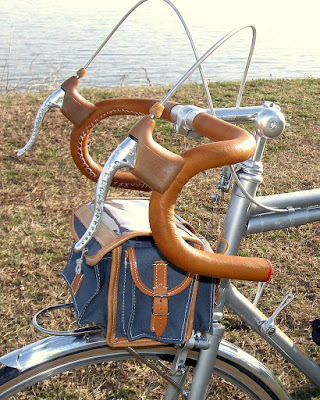 Pre-installed grommets to fit and work perfectly with our Randonneur Racks with Integrated Decaleurs and Campeur Front Rack. No need to drill holes or heat up a soldering iron. Whether you take a compact camera or an SLR plus two lenses out on rides, it's nice to have your photo equipment quickly accessible for that "decisive moment". The Snapper Sack features a padded Cordura enclosure to keep your camera safe from jarring, while the combination snow collar and dust shield keeps debris out. The Cell Phone Pocket is sized to fit modern smart phones. It gobbles up the plus-sized cell phones with ease. It's also useful for snacks, a power brick, or anything else you may need to access quickly that's generally in the shape of a rectangle. 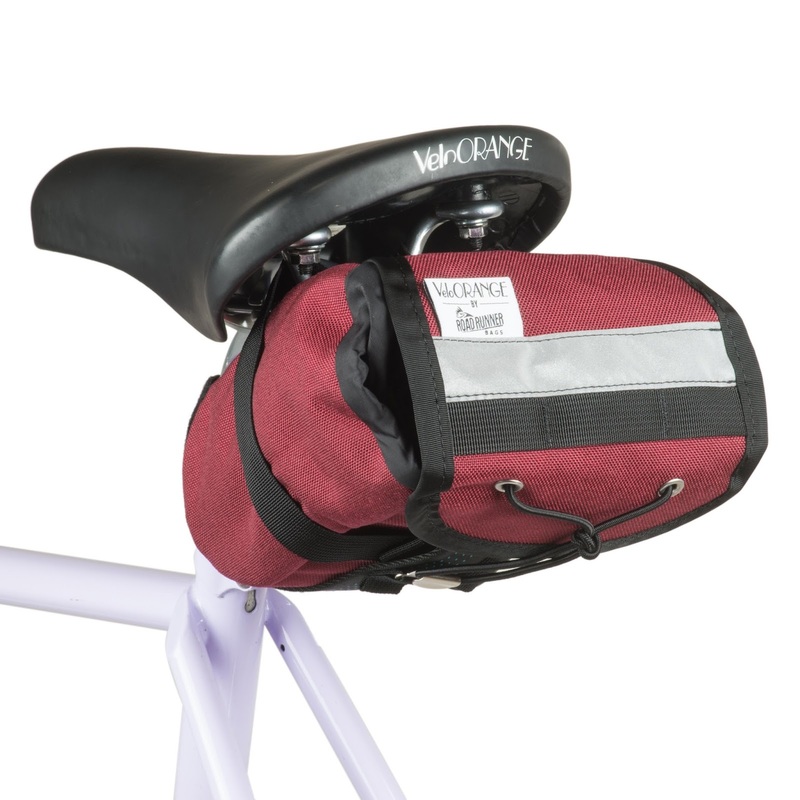 Both pouches connect to the Randonneur Handlebar Bag's molle straps via heavy-duty velcro straps, but can also be connected to the mesh of a basket or your backpack's straps. 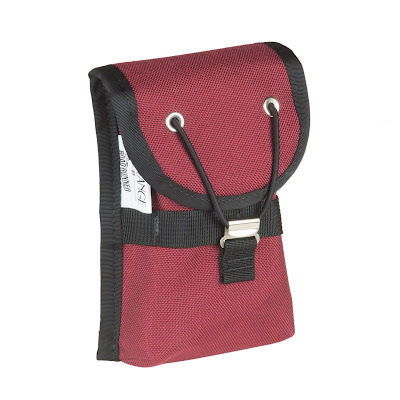 The Snapper Sack weighs 79g and the Cell Phone Pocket weighs 84g. Sometimes the best bags are the simplest. 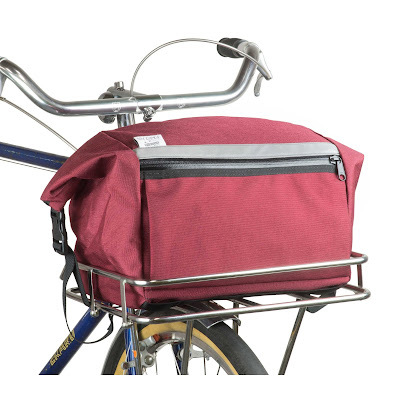 Here is a ~29L, non-structured, durable, waterproof, roll top bag for your Porteur Rack. 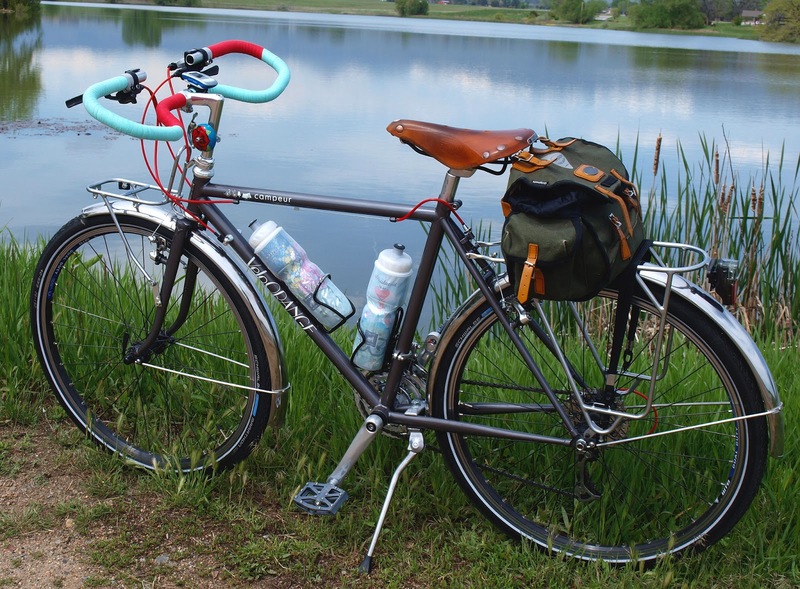 In addition to being great for commuting, it's also the perfect companion for touring. 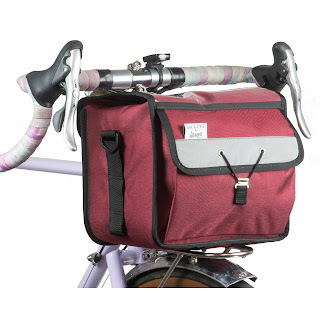 The bag also features a pleated front pocket with a reflective safety strip. While it's designed for our Porteur Rack, it fits well within a Wald 1372 Basket, and will probably work with other large-platform'd racks. Weight is roughly 513g. 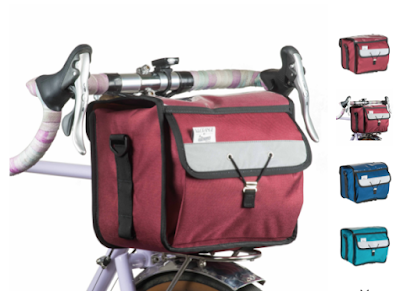 The Day Tripper Saddle Bag is the perfect mate for cyclo-tourists, randonneurs, roadies, and mountain bikers alike looking for a bit more capacity during an all-day ride. It's a great size for packing an extra layer, tools, wallet, keys, camera, film, and even a mini-pump. 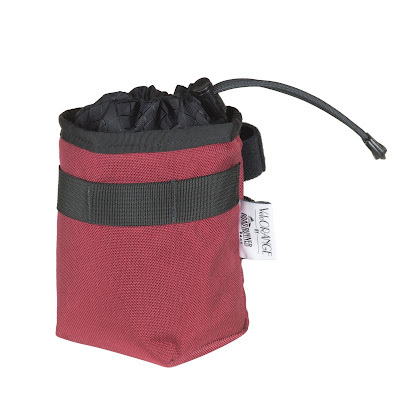 The bag uses a combination of Cordura and rip-stop nylon for durability, simplicity, and expandability. Mega-Grip is featured on the touch points to keep the bag in place, while the rear has a molle strap for a blinkie and a reflective panel to keep you seen when sunlight is fading. Weight is 223g. We're excited to offer this new line and are already working on some new designs. Happy riding! I thought it would be a good time to give you all a few updates on projects we've been working on as well as a few neat happenings coming up. Our online and garage sale was a tremendous hit - this year blew our previous sales records out of the water by a very decent margin. Please know that we are working as fast as we can to pack up and process all of your orders. We are planning to ship Polyvalents and Piolets in late-May to those who have pre-ordered. It's a slight bit later than we were aiming for, but after well over two years of development, testing, and prototyping iterations, we're happy that they're almost here! We've extended the pre-sale window to April 1st. After that, you'll have to wait until the production run arrives to our warehouse to order them. The new VO ✕ RRB bags have arrived in our warehouse. They'll be on the site this week once they're photographed and the dust settles from our Spring Thing. Here's the last teaser before they go live, I promise. 650b x 58mm Wavy Fenders: we had to do a bit of modification to the tooling before the full production run, but they should be completed around mid-April. We'll probably air freight a whole bunch off the bat. This fenderset will cost a slight bit more than our other offerings, mostly because the tooling has been the most labor and cost intensive. 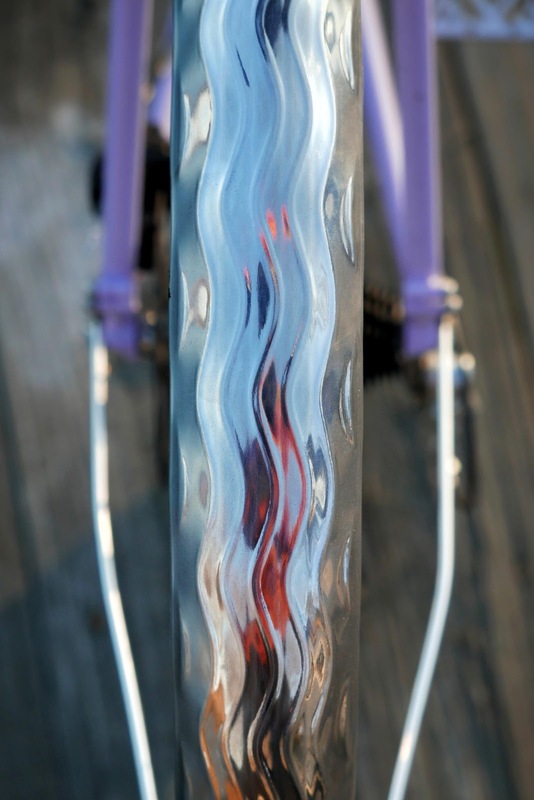 Our other fender toolings use a single roller, but this one uses two - a male and female pair of rollers with a very specific amount of pressure to make sure the fender receives the pattern properly without deforming the metal or damaging its mate. By popular request, we're getting them in Noir as well as our MO, polished silver. 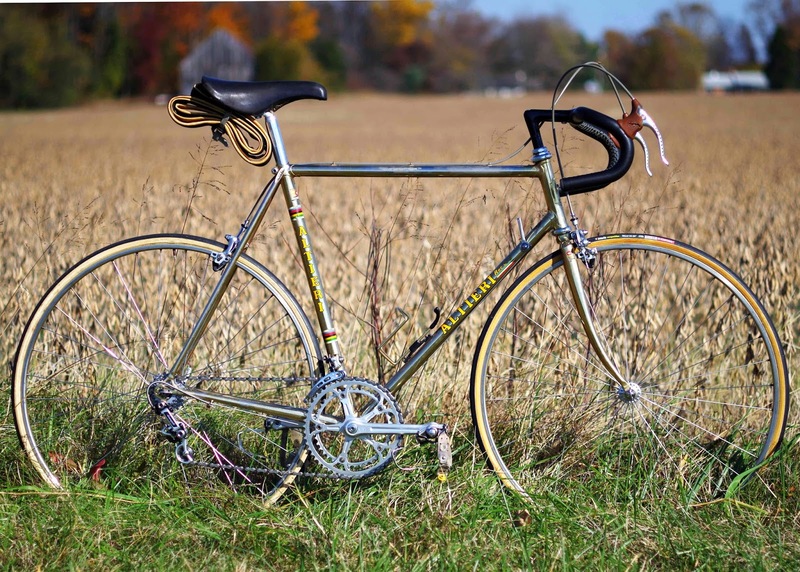 Adrian, Theodore, and I will be going to Eroica California! My Campeur is getting rebuilt with non-aero levers, Suntour Sprint dangler, polished 8 speed Duracé pusher, racks and LED lighting will be removed, cockpit will have Rando Bars and a Grand Cru Quill Stem, and of course, toe clips and straps. A lot of people assume the Campeur rides like a tank since it is designed for touring, but it is actually a great stripped down, lightweight roadie, too. In addition to the ride, we will be enjoying everything the festival and Central California has to offer, as well as visiting friends up and down the coast. Of course we have an appropriate Molteni onesie for Theodore, courtesy of Clint. That's it for now, Happy Riding! We've been doing built wheels for a number of years now. 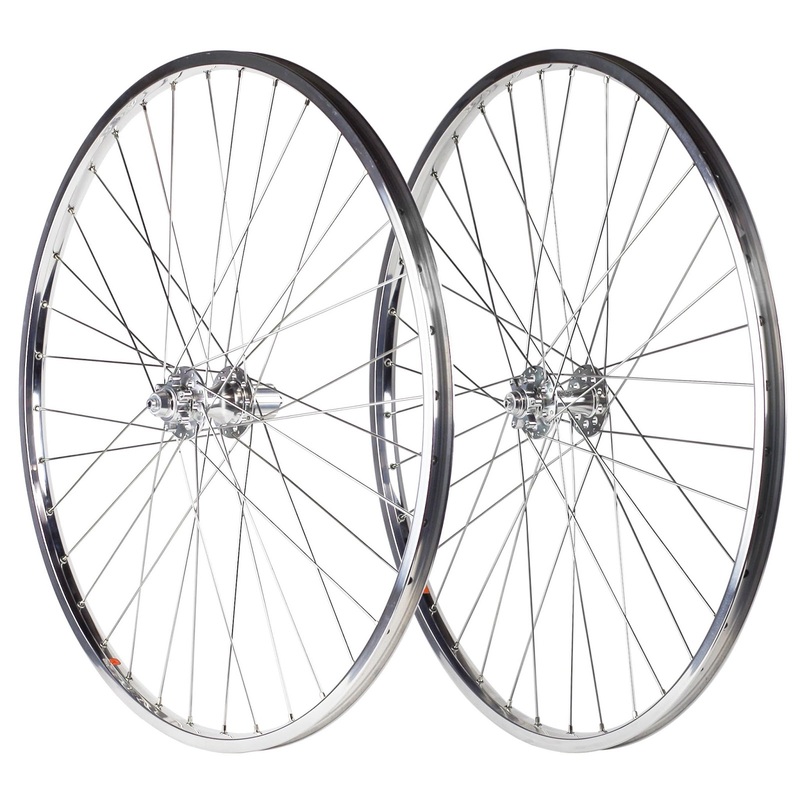 They've been very popular, especially for folks with older bikes who can't necessarily walk into a shop and get a high quality rear wheel, spaced 126 mm with a freewheel for their Peugeot PX-10 right away. 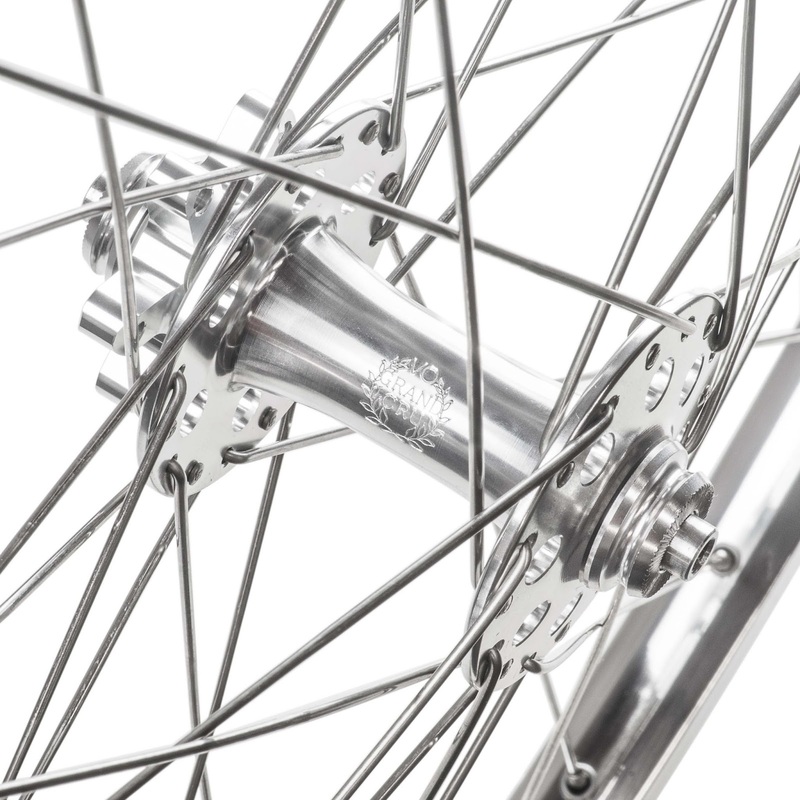 The newest additions to the VO stable of built wheels is the combination of our new 11 speed Disc Cassette Hub, Disc Front Hub, and 650b Diagonale Rim. We had these wheels (available as front or rear) built up by our US wheel builder for a couple reasons. The big one was these will be perfect for folks getting our new Polyvalent frames. As well, the rise of disc brake bikes has meant that we are receiving emails from riders asking about 650b disc wheel options for other bikes. 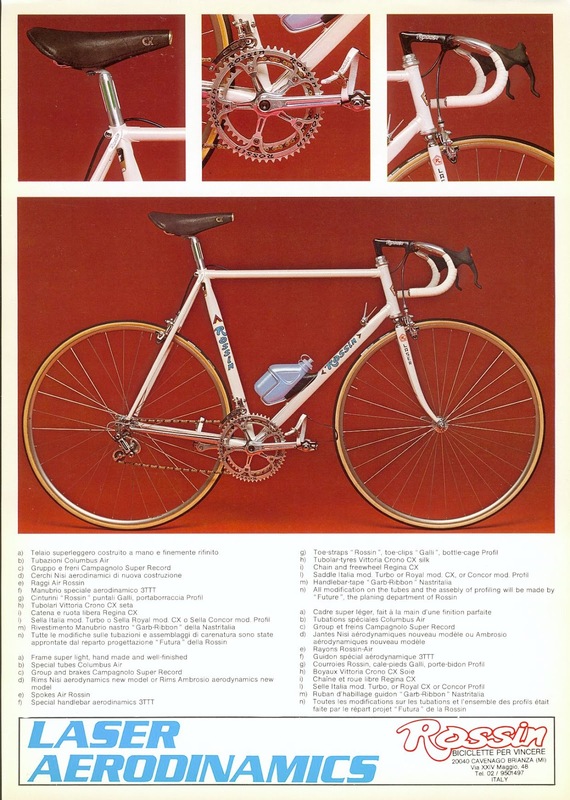 Seems like just the other year that folks were looking at the original Polyvalent frame and asking "I don't know if this 650b phase will last". Now we're doing 11 speed disc hubs laced to tried and true Diagonale Rims, able to take tires from 38 to 45 mm wide, wow. 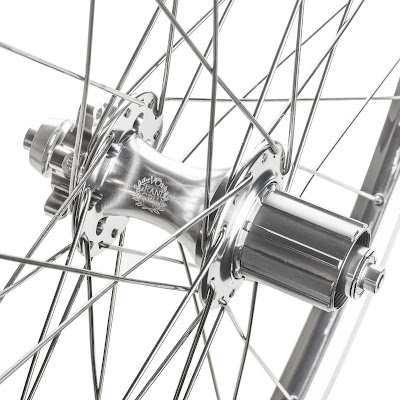 One update we've done with this wheel is we've gone from using DT Swiss straight gauge spokes to DT Swiss Double-Butted (2.0/1.8) Competition Spokes. Compared to straight gauge spokes, double butted spokes are lighter and a bit more compliant over temporary forces (potholes, rail crossings, etc). While the cost is a bit more than the straight gauge variant, we think the value is there. 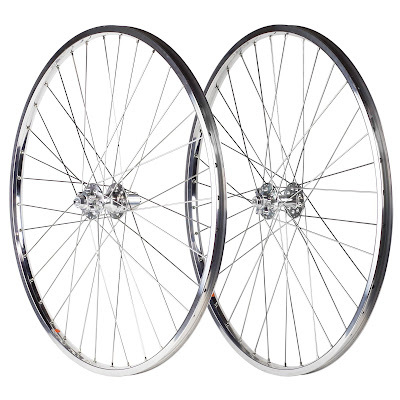 Each wheel is 32 hole, and weigh 1128g and 915g for the rear and front wheel, respectively. 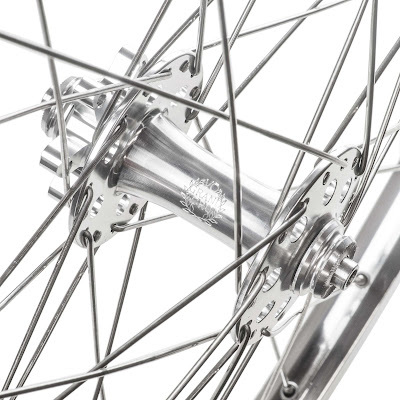 We're doing a bit of a re-vamp of our wheel offerings, so we put some wheels we're going to discontinue on the Specials page, so give them a look-see. 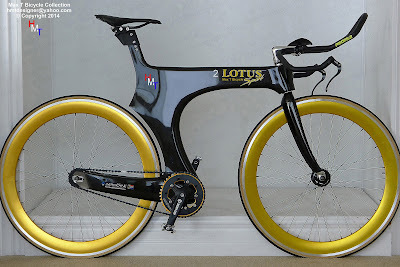 Are there any wheel combinations you'd like to see? I'll admit that I'm perhaps not the best at aesthetics. My wife's tried in the last couple years to update my wardrobe past jeans and a t-shirt. Bike wise, I try to look at how Clint and Igor have outfitted frames, creating a cohesive and tidy look, and try to emulate that. Problem is that I tend to do my builds out of my STASH collection. Thus it's a hodgepodge of stuff. 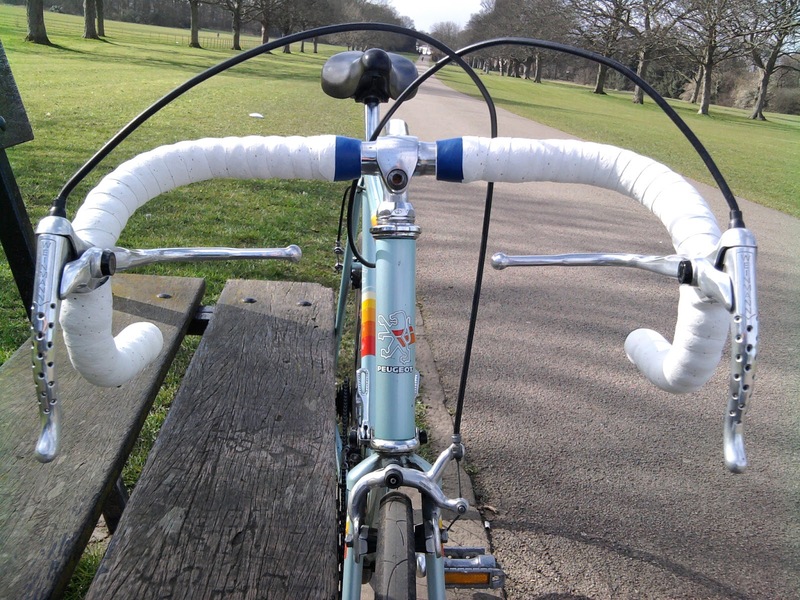 One thing that I've tried to work on is bar tape though. 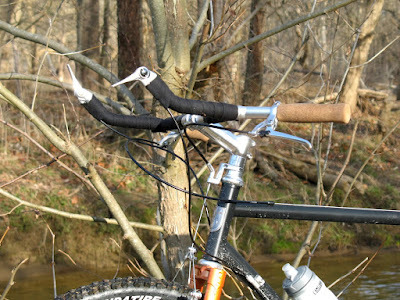 Bar tape is the last of the cheap and easy ways to update/spruce up/freshen up a bike. In the past, I was strictly a black tape kinda guy - goes with everything, no stress about matching shades, etc. But in the last few years, I've seen the upside of a variety of colors being used as bar tape. Now, I'll never be good enough, like Clint, to do a harlequin style or tie-dye a set of wraps, but I'm certainly seeing an advantage to changing the tape color often to change the mood of a build or just to acknowledge the change in a season. I read years back that the pro racers would use black tape over the winter (didn't show dirt, etc.) but that as soon as spring arrived, they would have the mechanics swap over to white for the spring races. A few pros were known for putting new white tape on before every big race as a way of showing that they were 100% prepared for that race. I did some consulting with my co workers and it was decided to go with the blue of the Comfy Cotton Tape. Not a total match to the muted blue of my original model Piolet, but a nice contrast, and it still maintains a somewhat muted appearance. So for a few bucks and about 15 minutes of work, I've totally updated the look of my bike, especially considering the cockpit is really what my eyes see when I ride the bike. There are certainly other ways to change the look and feel of your bike, but for $12, I'd say this is a pretty cost effective way to go about it. What ways do you spruce up the look/feel of your bike? 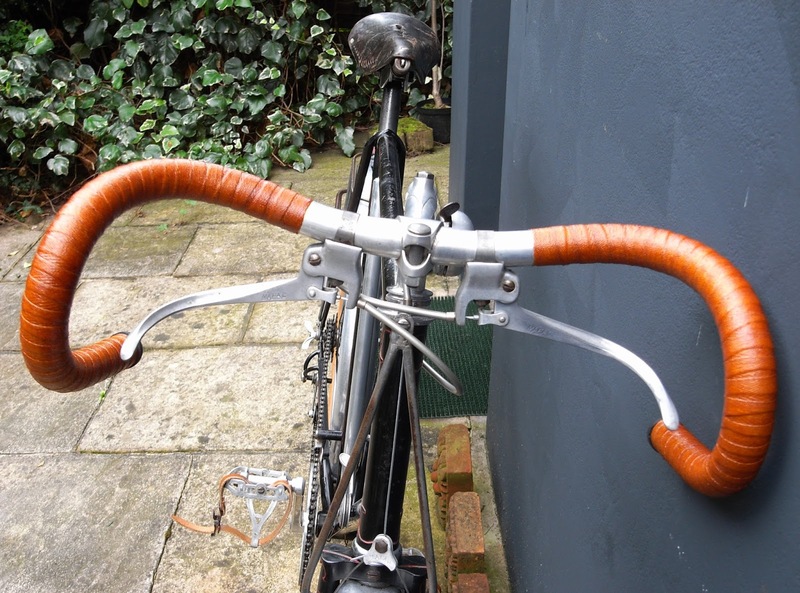 Brake Lever Clamp Diameter (also known as Grip Area) - The outside diameter where your brake levers clamp. The most traditional style of brake lever for drop handlebars is called Non-Aero. 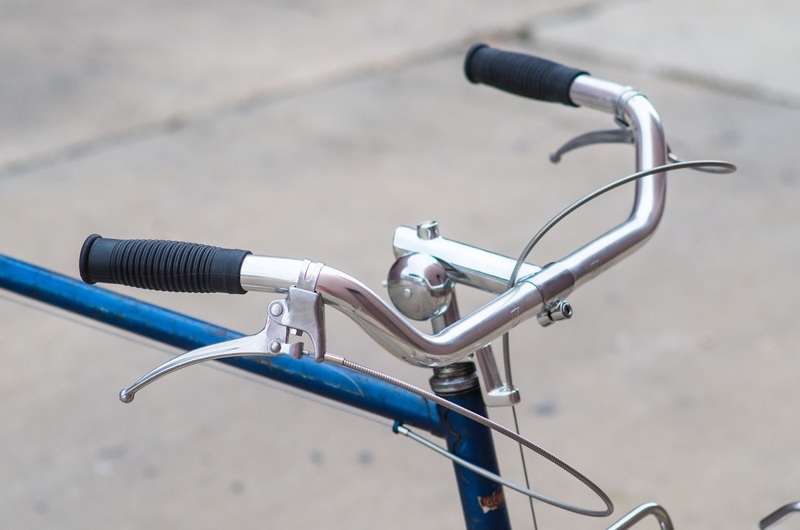 The cable exits the brake lever body out of the top and makes a wide arc around the stem and handlebar before the first cable guide or brake stop. 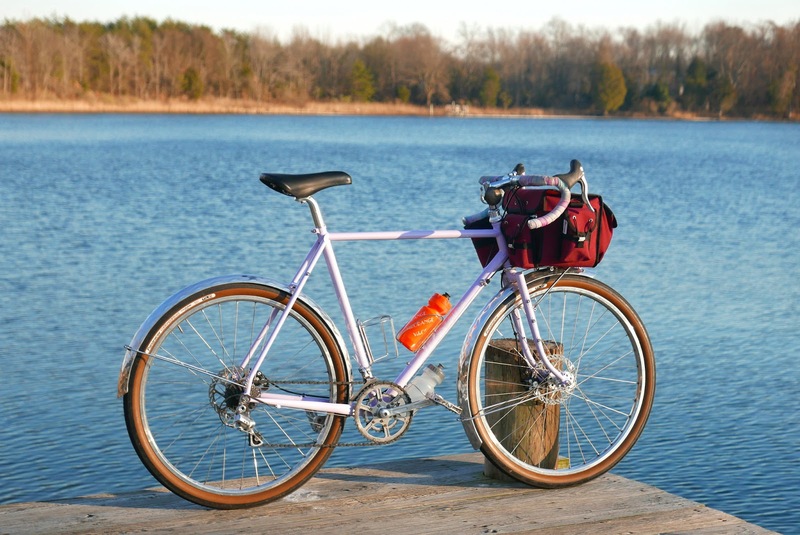 While this style has fallen out of mainstream favor for the "aero" alternative, purists, collectors, and tourers often prefer the non-aero variant for simplicity, ease of maintenance, and aesthetics. 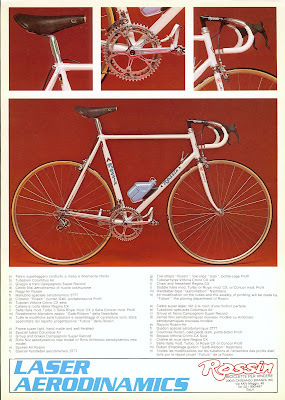 Up through the mid-1980's there were several companies making non-aero offerings, each with their own styling, following, and price point: Mafac, Campagnolo, Shimano, Universal, Modolo, Dia-Compe, Weinmann, just to name a few. Personally, I think the differences between the non-aero manufacturers (with the exception of Mafac) aren't significant. They pretty much all look and function very similarly. 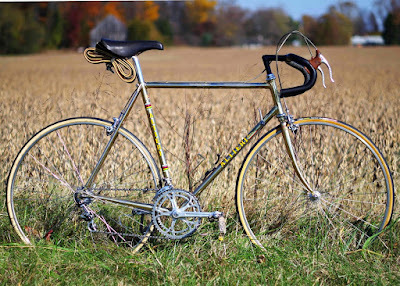 Mafac's shape was different - much more square and chunky body - often preferred for randonneur-style bikes. 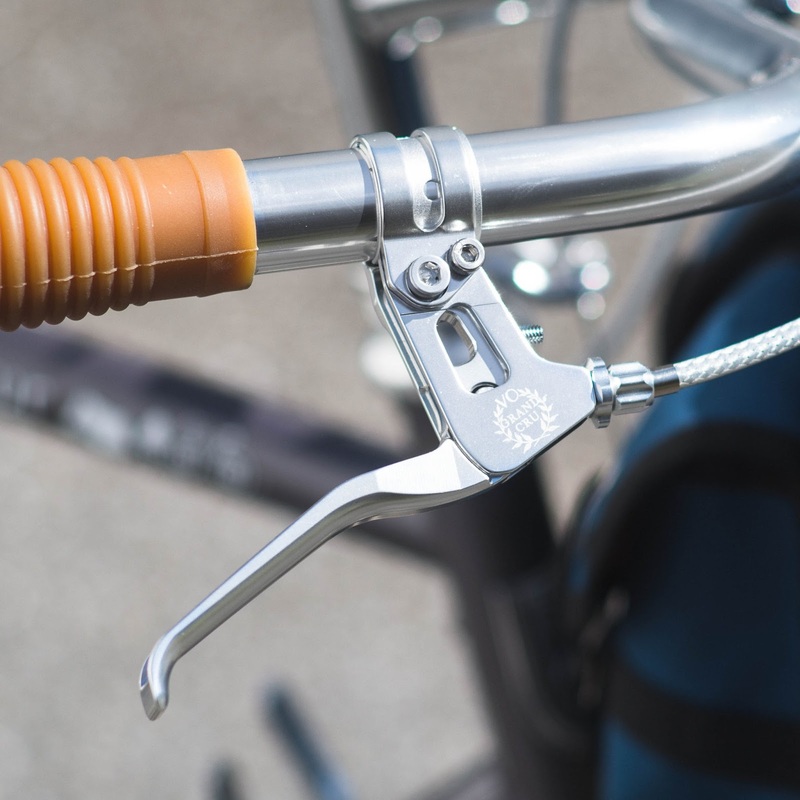 Traditionally-speaking, Campanolo and similar brake levers are often paired with deep drops and sloping ramps. In the mid 80s, levers with the housing routed underneath the handlebar tape, dubbed "aero", were becoming more mainstream. 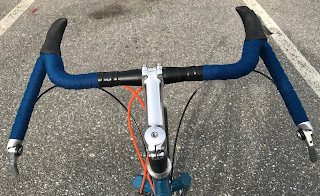 While Dia-Compe was likely the first company to release a consumer aero brake lever, Shimano did have the Dura-Ace AX brake lever with aero routing in the early 80s. I actually find the evolution of the aero brake lever fascinating. At first, they were basically re-drilled non-aero bodies (same bottom cable entry and all), but over time cable entry changed to the more modern forward entry and body lever shapes were under experimentation. My favorite is Modolo's aptly named Kronos series. Check out the beautifully smooth line from the ramps to the brake hood and continuing to the lever. 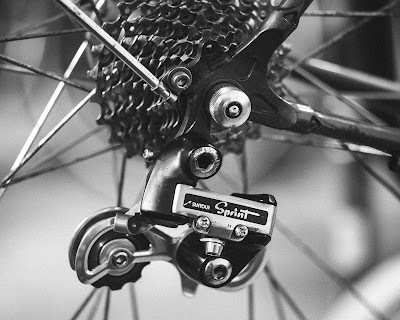 If you're one for bar-end or downtube shifters or no shifters, your selection for aero levers is plentiful. The Tektro RL340s are popular for their shape and quick release cable tension button. If you want fancy, the Campy Record levers are sublime. 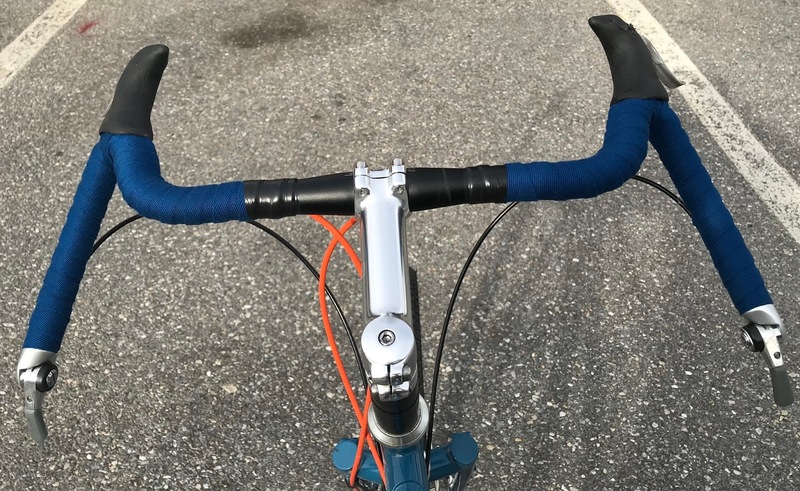 With the introduction of integrated shifters, sometimes called "brifters" (the less this word is used the better), aero levers and subsequently handlebars have become more ergonomic for long times in the saddle. Handlebar ramps and brake hoods are typically parallel with the ground and feature gradual transitions. 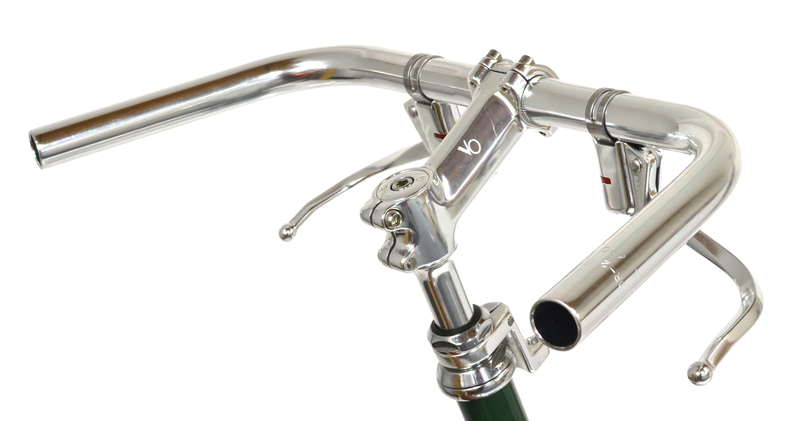 Pictured below is our Course Handlebar with Shimano integrated shifters. The important part of city and mountain brake levers is to select a lever that is compatible with your brake's cable pull requirements: Regular or Linear. Regular pull is what you would use for caliper, cantilever, centerpull, and any "road" style brake. Linear is what you would need for Shimano's V-brake or any other linear pull brake, most commonly seen on mountain bikes. These pull ratios are not interchangeable. If you use regular pull levers on a linear brake, the lever will not be able to pull enough cable before the lever bottoms out. Vice-versa, you will need to pull the lever significantly harder to stop. Both of these scenarios should be avoided. 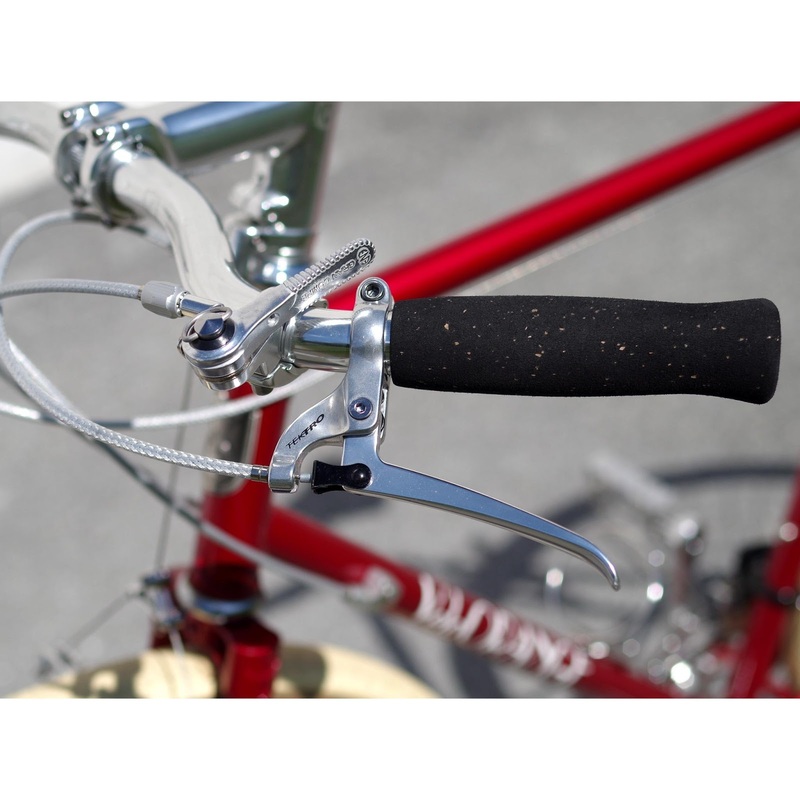 Our Grand Cru Brake Levers are my favorites. Not only are they compatible with 23.8mm and 22.2mm handlebars with included shims, they're also available in both regular and linear pull.